El Nido’s child abuse prevention and treatment programs provide comprehensive, even life-saving services to children and their family members. Our program goals are to reduce the symptoms of child abuse, the incidence of repeat abuse, or to prevent the likelihood of abuse. Given the stress families are experiencing, the need for El Nido’s services is greater than ever. Without help, affected children suffer alone and in silence. The effects can last their entire lives. El Nido professionals offer affected children what they need most — an adult they can trust again, who understands their experience and can comfort them. 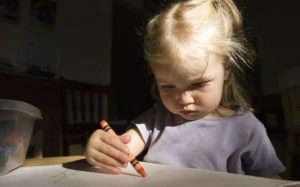 Verbal, play and art therapy help children work through the traumas of their abuse. Group counseling helps child abuse victims realize that they are not responsible, alone or abnormal as a result of the abuse. El Nido’s parent education programs are the first line of defense against potential child abuse or neglect, school failure, teen parenting and other problems. The parents El Nido works with want what we all want…for their kids to be healthy, happy and successful. They often start with disadvantages, such as a history of domestic violence or neglect, family substance abuse, and little knowledge of what children need to thrive. El Nido’s Master’s-level professionals help prevent child abuse by partnering with families to build upon their existing strengths, enhancing family functioning and treating underlying trauma. Therapists empower parents to identify effective strategies, examine how and why they worked, and increase positive practices in place of behaviors that are harmful. 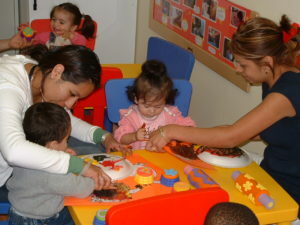 El Nido is the largest provider of teen family services in California. Babies of teen mothers are more likely to be born prematurely and underweight, raised in poverty, in danger of infant mortality, have ongoing health and developmental problems and of becoming teen parents themselves. Our programs demonstrate that with intervention the cycle can be broken. Teens mothers are often isolated, overwhelmed and unprepared for the challenges of motherhood. El Nido staff educates and encourages teens, promoting healthy lifestyles, optimal birth outcomes, positive parenting, educational attainment and vocational success. El Nido reaches out to pregnant and parenting teens in some of Los Angeles’ highest need communities. Through home visits, our case managers make real connections with young mothers who are isolated, overwhelmed and unprepared for the challenges of parenting. We link them with resources that will enable them and their babies to thrive — health and mental health care, education, vocational training, housing, nutritional or income support. Perhaps most importantly, El Nido therapists and case managers give teens the encouragement they need to succeed in school, prepare for the workforce and provide the best possible care to their babies. Our nurses also visit the homes of teens with complicated pregnancies or medically fragile infants, to make sure the next generation gets a healthier start. The support of our partners and generous donors helps El Nido Family Centers to continue our efforts to heal hearts and rebuild lives by strengthening the foundation on which children depend – their families.